Every year, there are more than 100,000 non-residential fires that take place in America. Many of them happen inside of commercial properties and affect businesses in a big way. There are some simple steps you can take to reduce the chances of a fire starting and spreading in your business. Take a look at tips for doing it below. 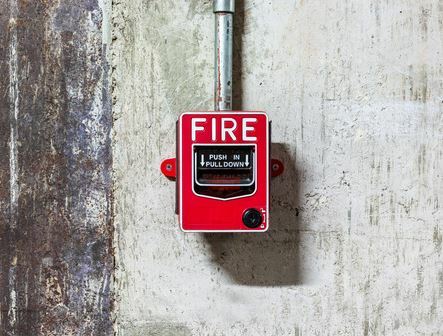 Figure out the fire risks that exist in your business. Take a walk through your business today and look for any areas that might be susceptible to a fire. For example, does your business have a kitchen with a stove in it? If so, that could present a fire risk for you. You should make sure the stove is in good working order. You should also speak with your employees about how to use it safely. That could prevent a fire from starting because of it. Put functioning fire protection equipment into place. Although you can reduce the fire risks in your commercial building, there is no way to fully eliminate the threat of them. You can, however, put fire protection equipment into place that will allow you to put out a fire if one ever starts. Install working fire alarms and smoke detectors in your building in addition to a fire sprinkler system that will spring into action at the first sign of trouble. Educate your staff about what to do if a fire starts. If a fire were to start in your commercial building today, what would your employees do? If you haven’t trained them properly, they might not know how to react. You should create a clear-cut fire plan that lets your employees know how to respond to a fire. Additionally, you should create an evacuation plan and conduct fire drills regularly. It’ll allow your employees to familiarize themselves with what they should do during a fire. NYCONN Security Systems Inc. can help your business when it comes to fire prevention and protection. We can install fire detection and fire alarm systems in commercial buildings, industrial plants, retail shops, and more. Call us at 914-241-3700 in New York or 860-354-1947 in Connecticut to hear more about them.